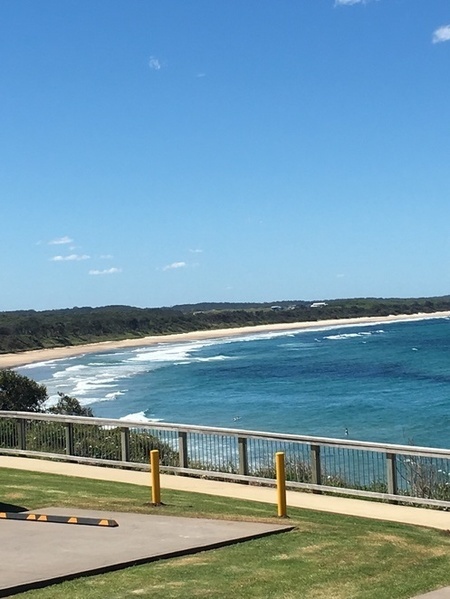 Beautiful Bonny Hills is only a 15 minute drive from the hustle and bustle of Port Macquarie. Nestled amongst the rock is a picturesque Bonny Hills beach, an awesome fish and chips and bottle shop. We go up here annually and love the local holiday park with options for cabins, provided glamping tents (with own bathroom) and powered or unpowered sites for caravans or BYO tents. Super reasonable food can be found at the local takeaway shop for breakfast, lunch or dinner. Personally, I love the burgers and fish and chips. For those passing through, you can even get petrol! Why? Beautiful Bonny Hills has a gorgeous beach and great food!